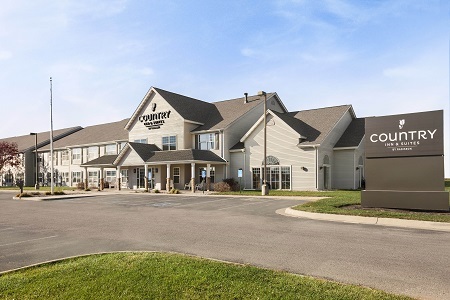 Conveniently located near Business Highway 20 and Fort Dodge Regional Airport (FOD), the Country Inn & Suites® by Radisson, Fort Dodge, IA is the perfect starting point for your Mineral City adventures. Learn more about the history of the region at nearby attractions like The Fort Museum and Frontier Village, or take advantage of seasonal fun with an afternoon of apple-picking at The Community Orchard. Traveling with a sports group? Attend tournaments and practices at the Rogers Sports Complex, less than 10 minutes from the hotel, or catch a college game at Dodger Stadium, two miles away. 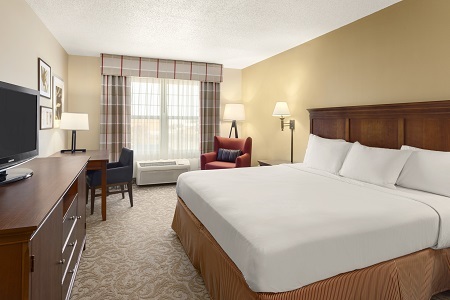 For added space, reserve our One-bedroom Suite, which features a king bed plus a kitchenette and a separate living area. 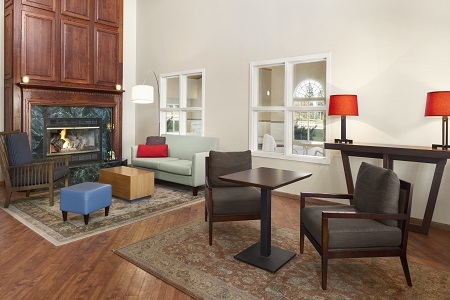 Save time and money each morning with our hotel’s complimentary, hot breakfast. Your entire party can fill up on hearty favorites like muffins, cereal and syrup-drizzled Belgian waffles alongside fresh cups of coffee. For lunch and dinner, our hotel lies just minutes from a variety of delicious local restaurants. Challenge the family to a game of billiards while you enjoy hot wings at Olde Boston's Restaurant & Pub, or savor a mouthwatering rib eye at Buford's Steak House & BBQ. Blanden Memorial Art Museum – Situated two miles from our hotel, this prominent museum features paintings, photography and sculptures by American and European artists. Public parking is available at South 3rd Avenue and South 10th Street, and admission is free! Rogers Sports Complex – This 100-acre complex hosts statewide baseball, softball and soccer tournaments. Grab your sports team and equipment and head to these fields, located about five miles from the hotel. Sports Park Raceway – This half-mile dirt track offers fast-paced, heart-thumping excitement less than nine miles from the hotel. Check the schedule to see when you can catch stock cars, sport mods or hobby stocks revving their engines. 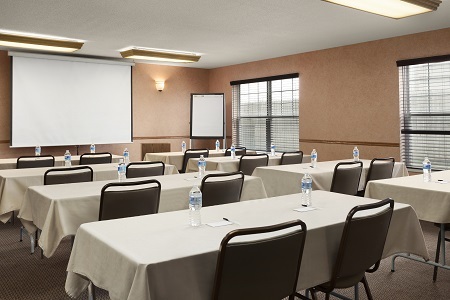 For a convenient meeting space just 11 minutes from Fort Dodge Regional Airport, reserve our well-appointed conference room at the Country Inn & Suites. Be sure to ask our knowledgeable staff for information on audiovisual equipment rentals and catering recommendations to ensure your event goes off without a hitch.